Find information on the best time of day and areas for swimming, walking, having a picnic and more at Weirs Beach. Learn what areas and times of day are best for children, and the rules of the beach to keep your family safe on your next Weirs Beach vacation. There is so much to do at the beach and there has been for over fifty years. 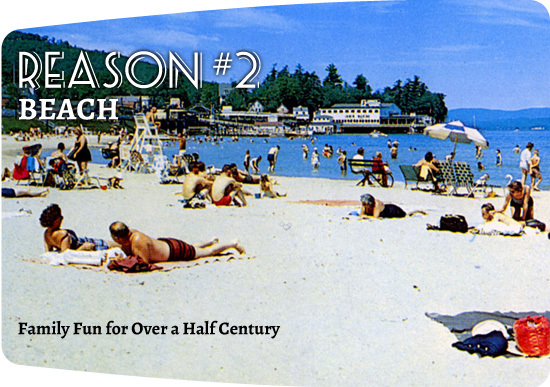 Discover photos of Weirs Beach from the 1950s and learn the history of the beach by clicking on the Beach History page link above. Learn more about Weirs Beach and start planning your trip today!